By 2037, the Russia and CIS air transport market will grow by 150 per cent – with passenger numbers reaching 159 million, compared with an average annual industry growth of 2.9 per cent, airline association IATA predicts. As such, the Russia and CIS region will become one of the biggest and most influential air transport markets in Eastern Europe and Central Asia, whilst offering access to one of the largest fleets in this geographic area. Signs of the predicted expansion are already there, as for the 11-month period of 2018 passenger traffic throughout Russia continued on its double-digit growth flight path, with Russian airlines carrying some 107.7 million passengers, up 10.6 per cent. According to predictions, the CIS markets will expand at even higher rates. For example, passenger traffic in Kazakhstan will reach 18 million by 2037, an average annual boost of 4.2 per cent; and the Uzbek and Kyrgyz markets will grow respectively by 4.3 and five per cent a year. The overall region’s expanding middle-class is considered to be the main driver for this growth. As a result of this traffic surge it is inevitable that the region’s airlines will need to expand and renew their fleets, thereby offering attractive opportunities for lessors and aircraft manufactures alike. The event, which is being held for the 12th time, attracted 216 participants from all over the world last year, including 54 delegates from Russian and CIS airlines as well as visitors from western, Russian and Asian lessors, and representatives from banks, regulatory officials, aircraft manufactures and the media. Among the traditional airline participants are Aeroflot, Utair, Rossiya Airlines, S7, Pobeda, Azur Air, Red Wings, Ural Airlines, MyWay, iFly, Azimut and others. Ensure your place at this major Russian aviation event by taking advantage of our special registration terms, an offer that is available only until 5th February 2019. 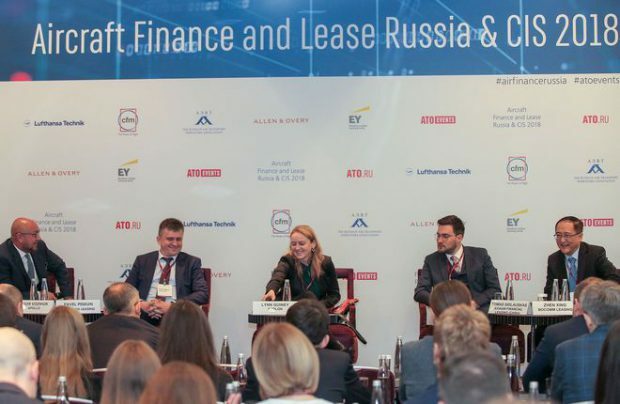 Aircraft Finance and Lease Russia & CIS is produced by ATO Events in partnership with the Russian Air Transport Operators Association and is sponsored by Allen & Overy and Lufthansa Technik.